What Is It About 20-Somethings and Cars? Long a symbol of freedom and independence, the car is becoming less appealing to young people. 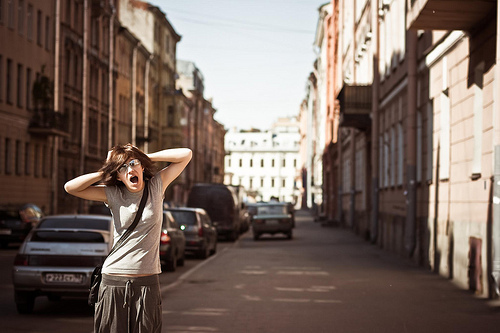 Photo by Dima Bushkov. 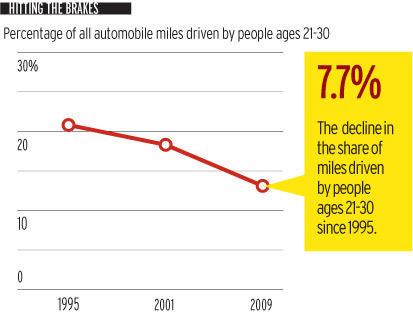 American young adults are driving less, says a recent piece in AdvertisingAge. Only 77 percent of 19-year-olds today have their license, compared to 92 percent in 1978. And the proportion of automobile miles driven by people aged 21 to 30 fell five percent in 2009, compared to 2001. The New York Times recently published a feature story on the distinctive characteristics of people in their 20s — known as a period of “emerging adulthood” — explaining some of the demographic and cultural shifts changing young people’s lives. The article provides many examples of an extended transition into adulthood, as young people spend more time on higher education, lead unsettled lives, and delay major milestones like marriage. Could this explain the downward trend in how 21- to 30-year olds in America use their cars? William Draves, author of the book, “Nine Shift,” attributes these changes to digital technology: telecommuting is increasingly more common among young people as the intranet replaces offices; and a generation of new workers increasingly seeks a high level of efficiency. For example, young people, Draves says, want to effectively utilize their time on trains and light rail by making use of mobile technology. It’s also increasingly less economical to drive. According to Research and Innovative Technology Administration data, the cost of operating a car is around $0.56 per mile. The average annual miles driven per driver is 15,000 a year, which makes the cost of owning and operating a car about $8,500 per year. It seems young people coming of age during these woeful economic times are less likely to sink their money into a vehicle. Streetsblog notes that the article in AdAge frames these trends as problem for the automobile industry. And yes, it seems clear that young workers are behaving in ways that demand options for mobility that make economic sense and fit with lifestyle patterns and cultural choices – not something for which the auto industry is known.